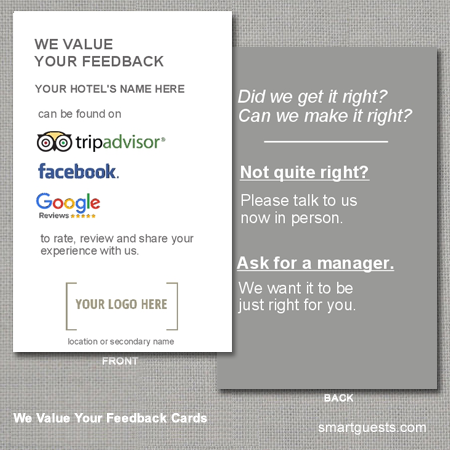 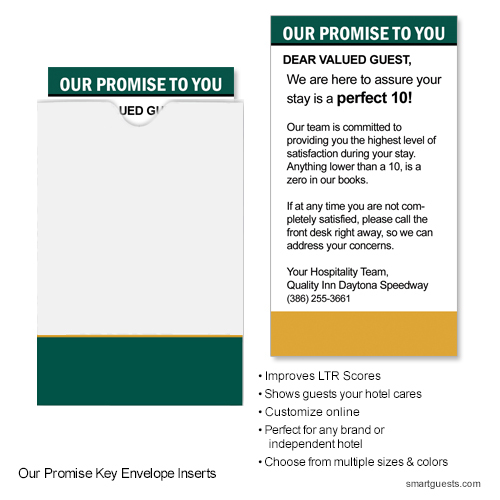 Improve your survey scores with a service promise to guests. 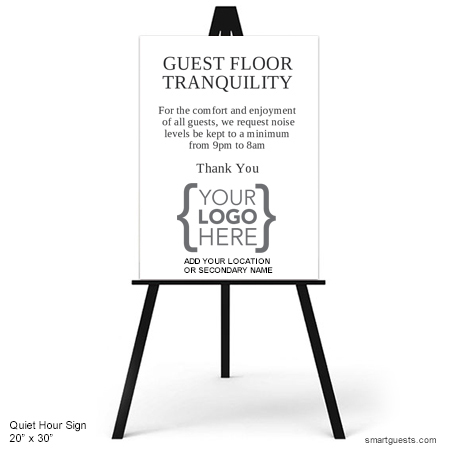 Provide a unique experience for your guests. 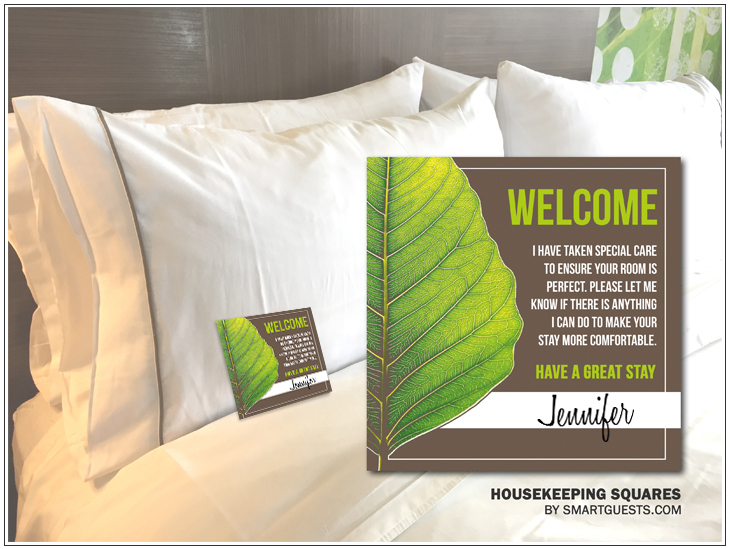 Improve room quality and service scores. 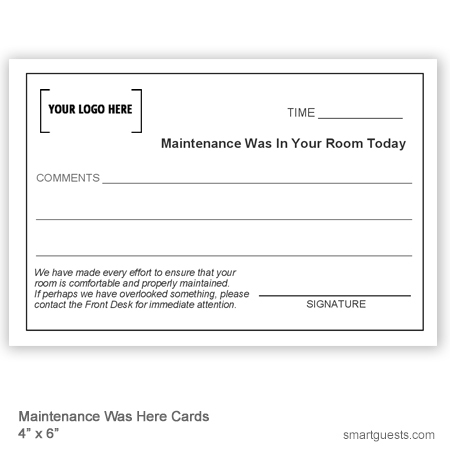 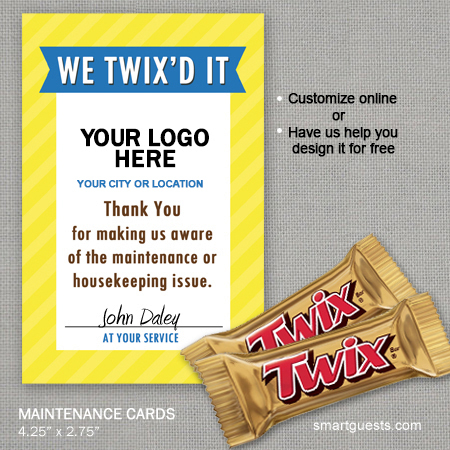 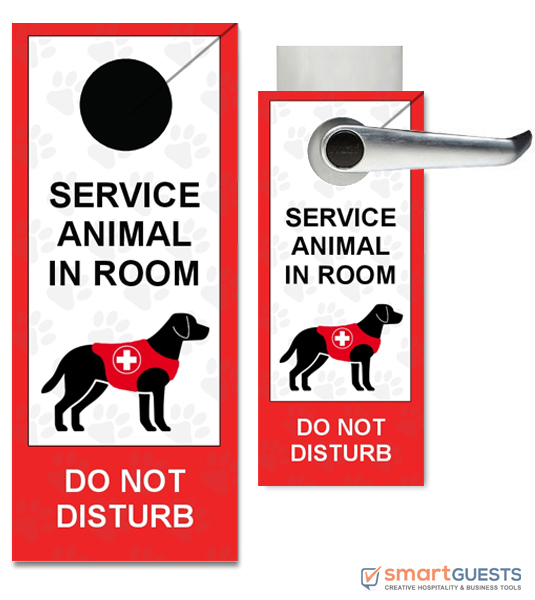 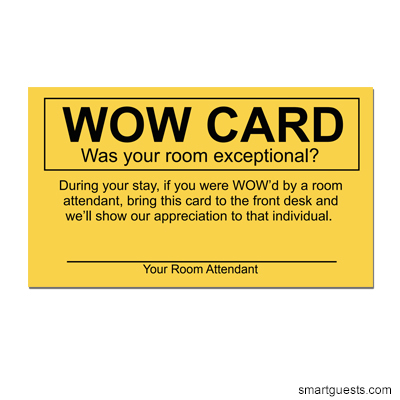 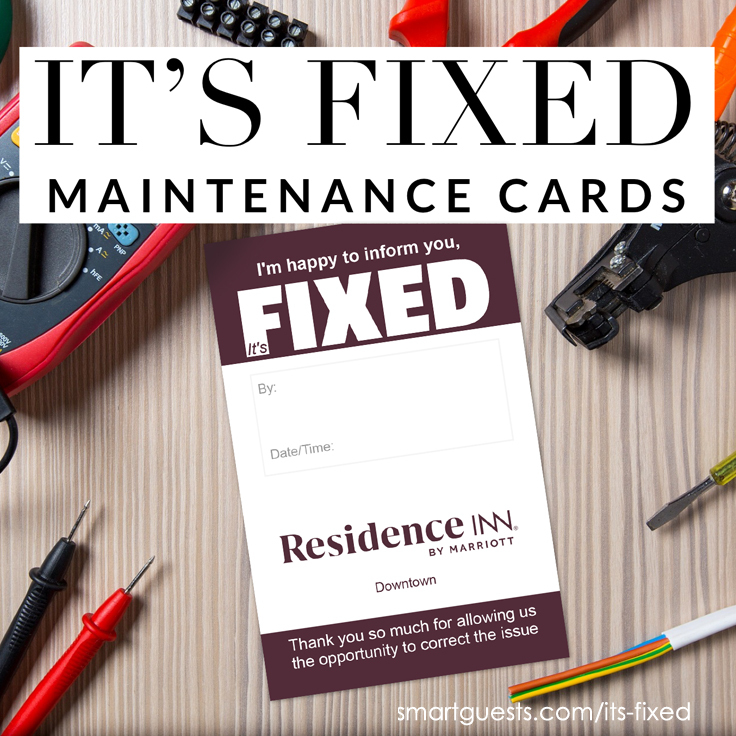 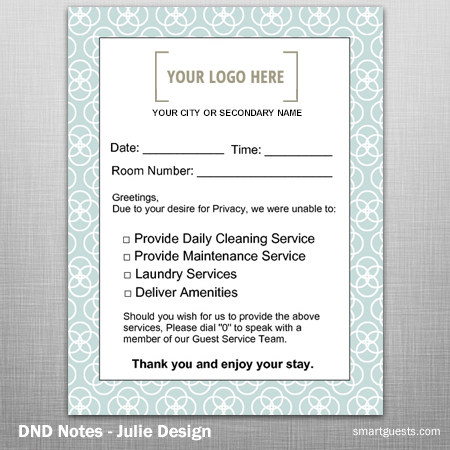 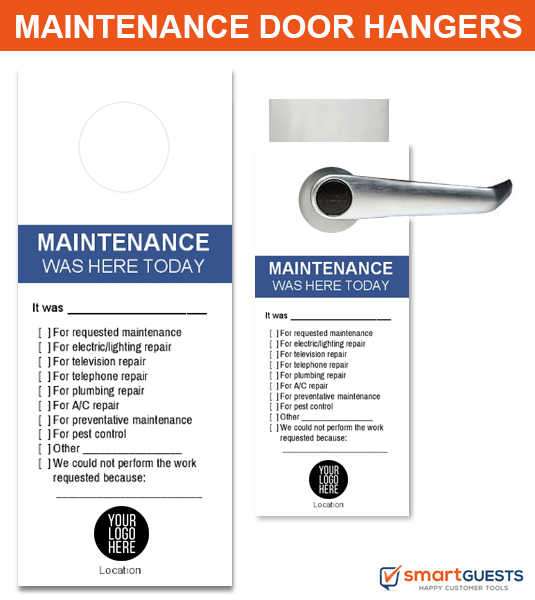 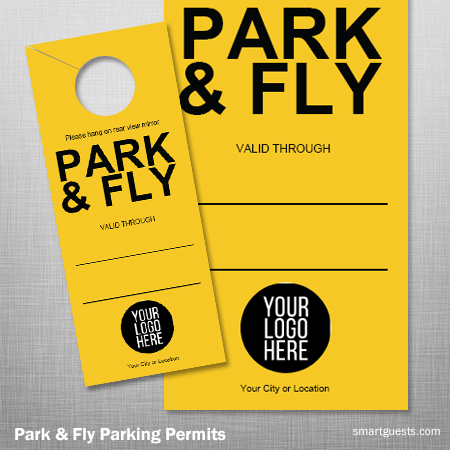 These maintenance or housekeeping cards work great! 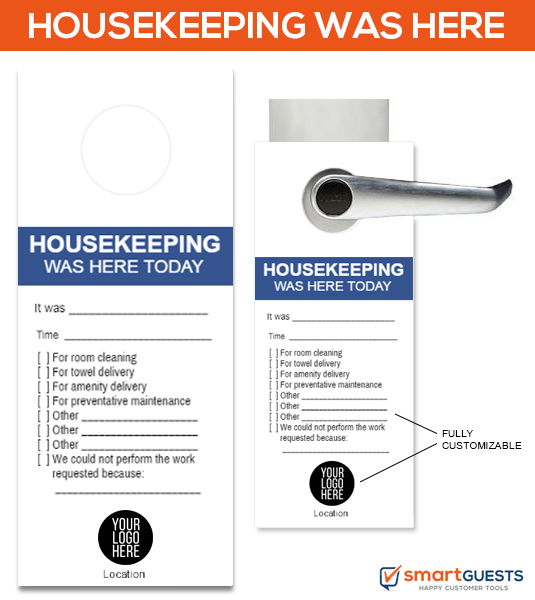 Professionally notify guests housekeeping was not able to service their room due to DND on door. 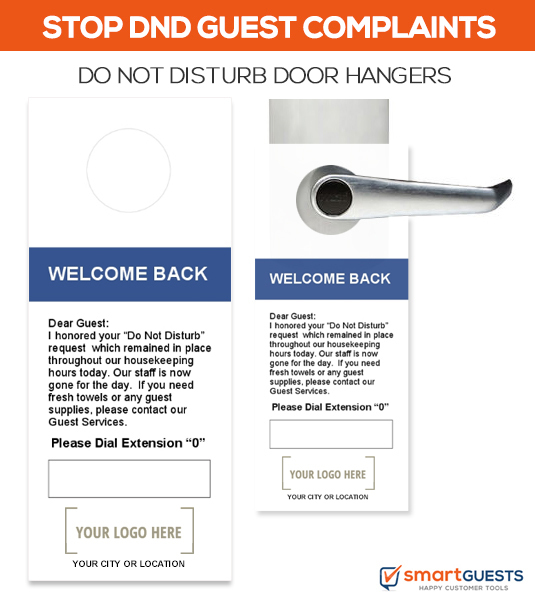 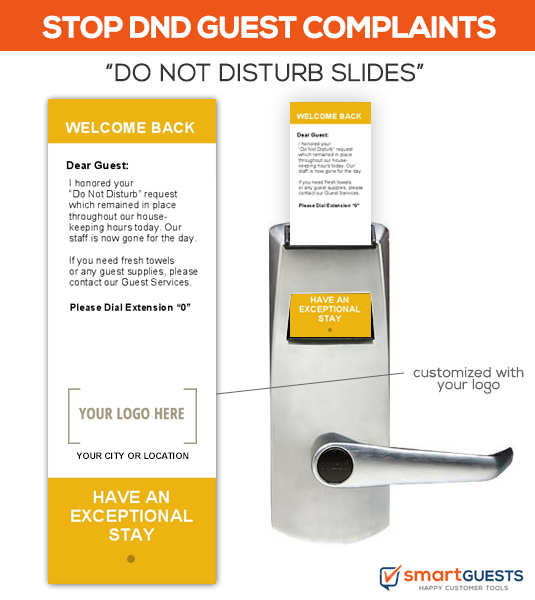 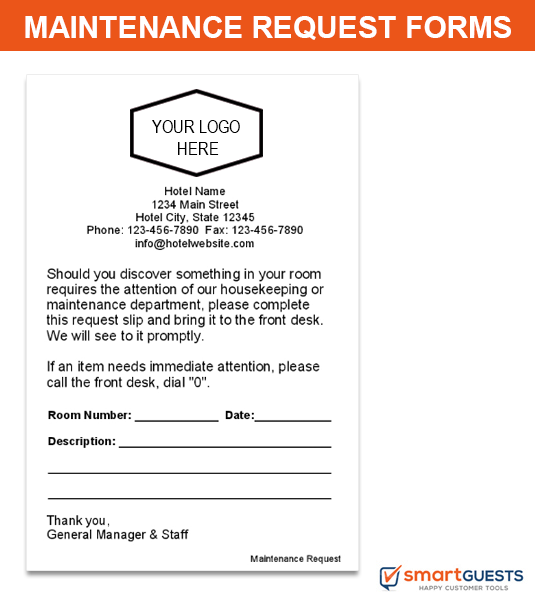 Maintenance Request Forms allow you guests to properly notify you when a maintenance or service issue occurs. 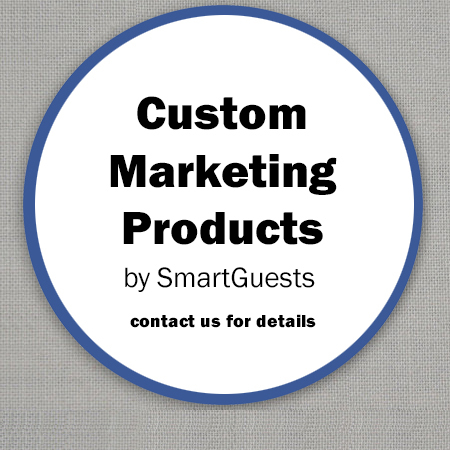 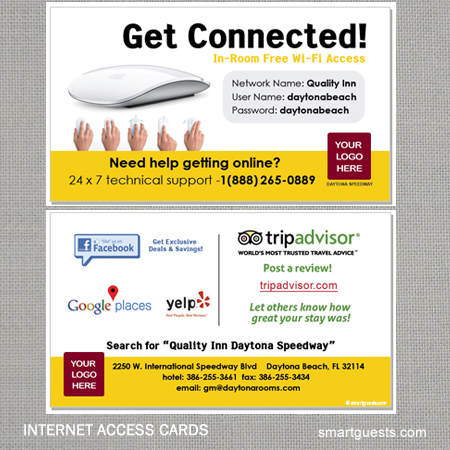 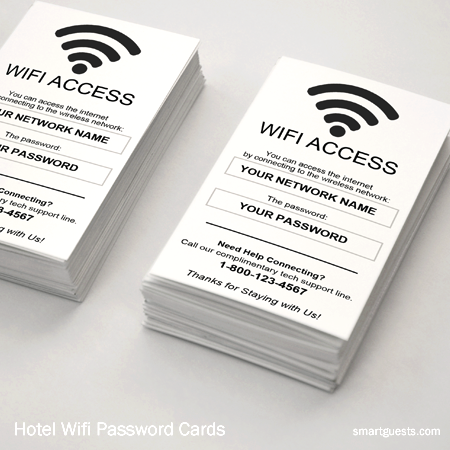 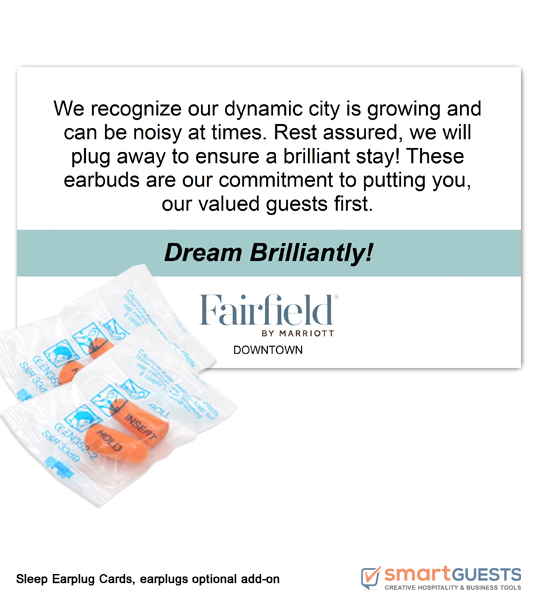 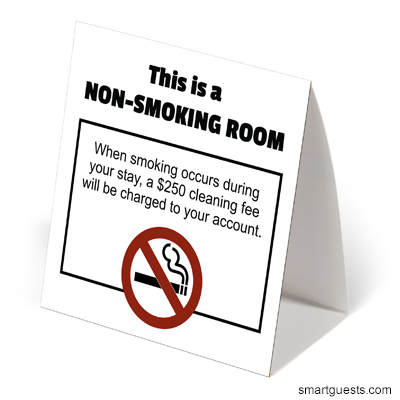 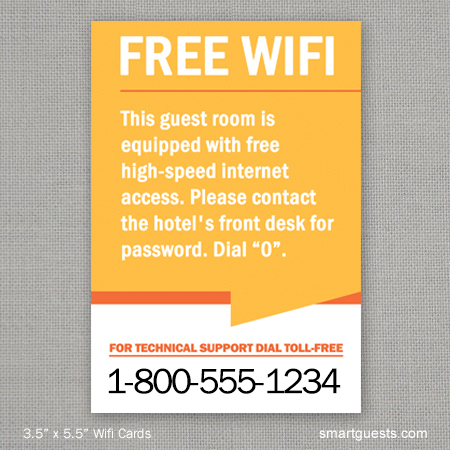 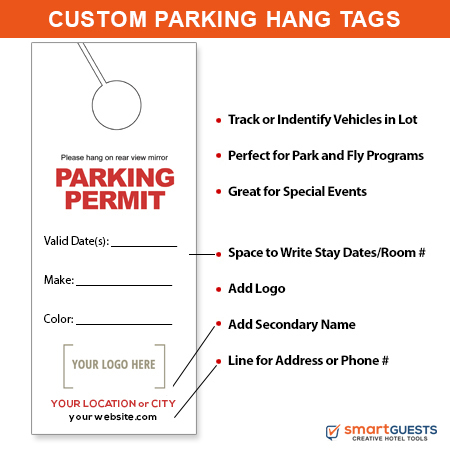 Be proactive, inform guests about the free wifi access in their guestroom. 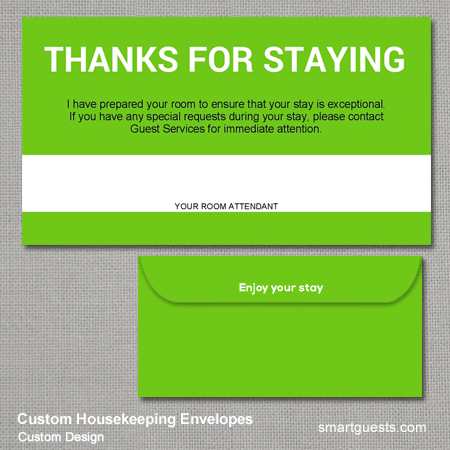 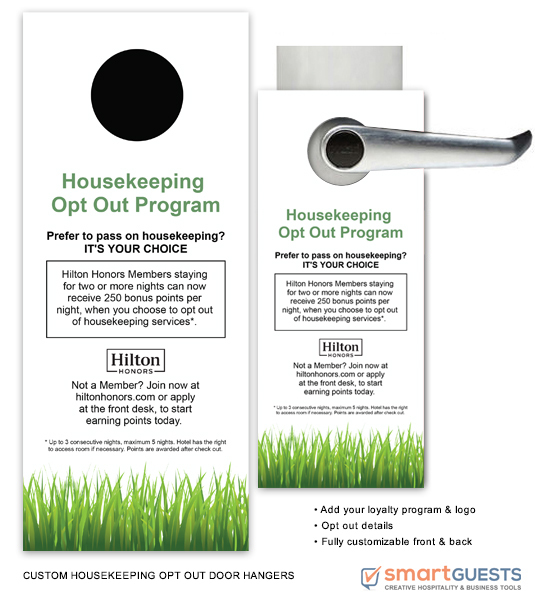 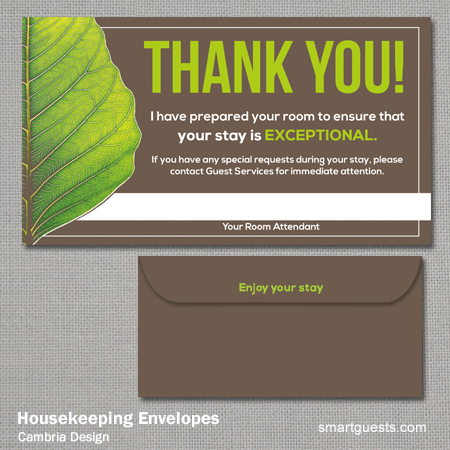 Recognize exceptional service with Housekeeping Envelopes.